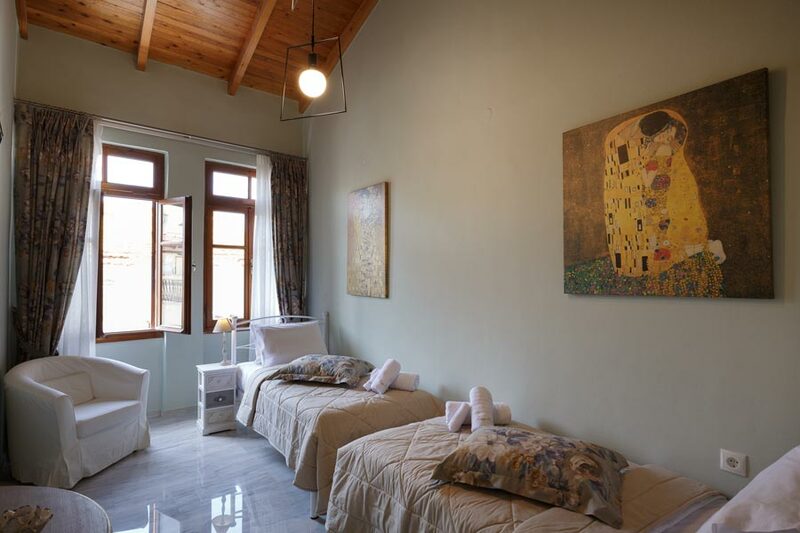 Housed in an historic building in the centre of Rethymnos’ Old Town, Loggia Home is a fully renovated house originally built in the early 20th century which seamlessly blends the old with the new with an eclectic mix of modern fixtures and appliances, wooden ceilings and generous amounts of natural light. 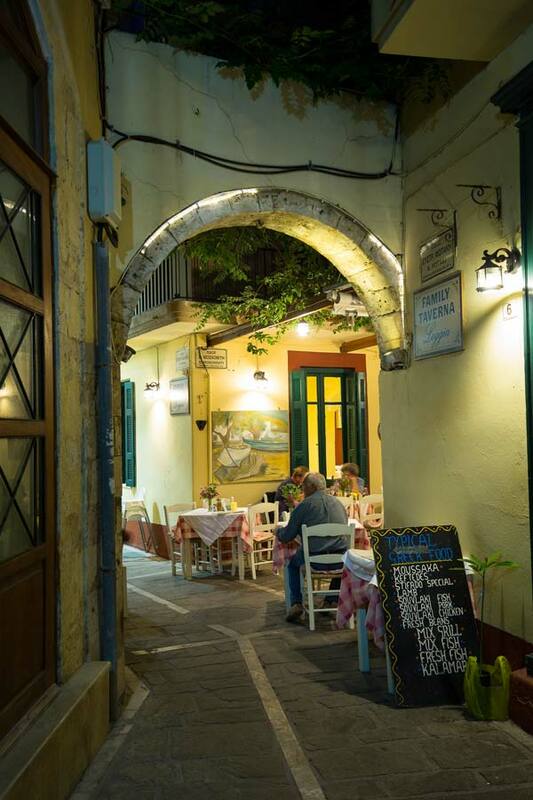 Take advantage of the location and explore the historical district of Rethymno old town, discover the unique day and night life of the area and at the same time be only a few minutes walking distance from the most famous beach in central Crete, the long sandy beach of Rethymno. 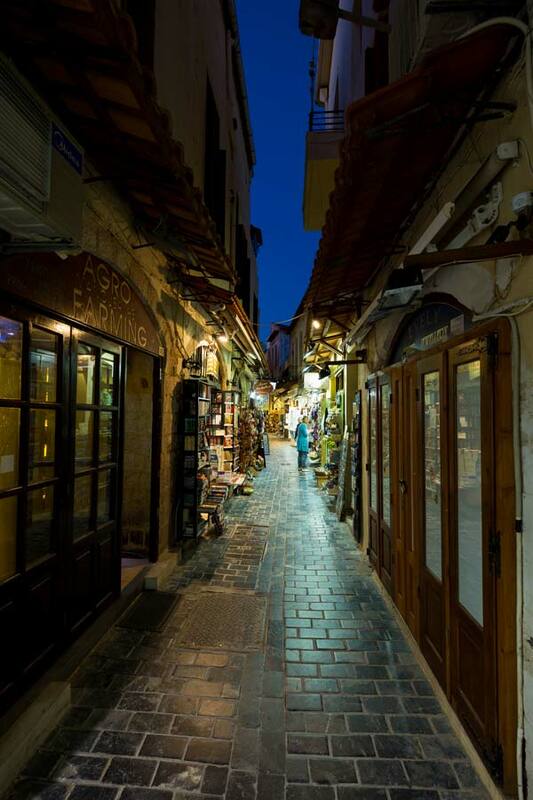 - Staying in the centre of the Old Town of Rethymno is a unique experience! It offers the opportunity to stay in a historical district which you can explore road by road and always find something that worth to see and discover. 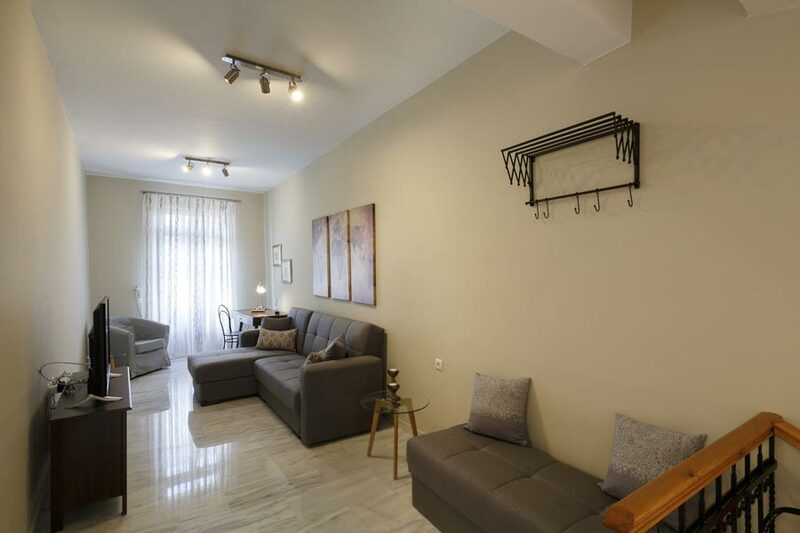 At the same time staying in the old town means that you will be next to any kind of shops, restaurants, bars, cafeterias, nightclubs and the beach. Everything can be reached on foot with a plenty of choices and it is not necessary to rent cars if you stay in. 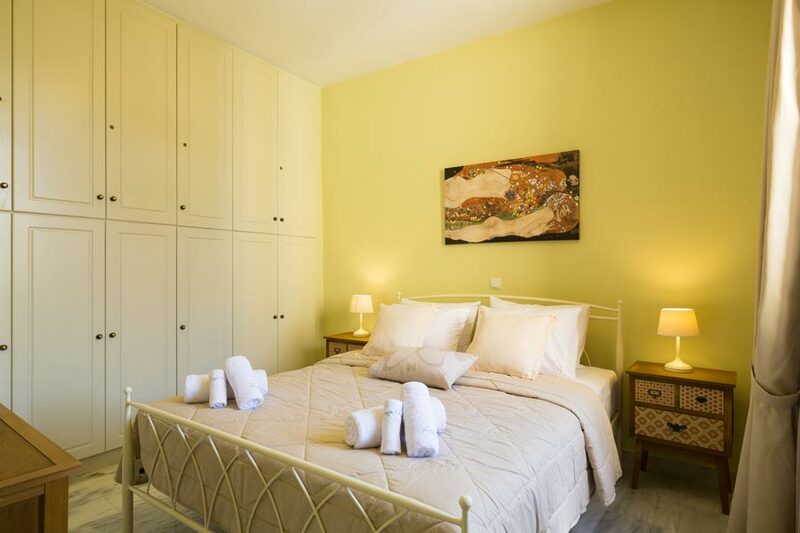 - Feel the freedom of staying in your own house but also take advantage of the “hotel style services” that we can offer if you want or need them. 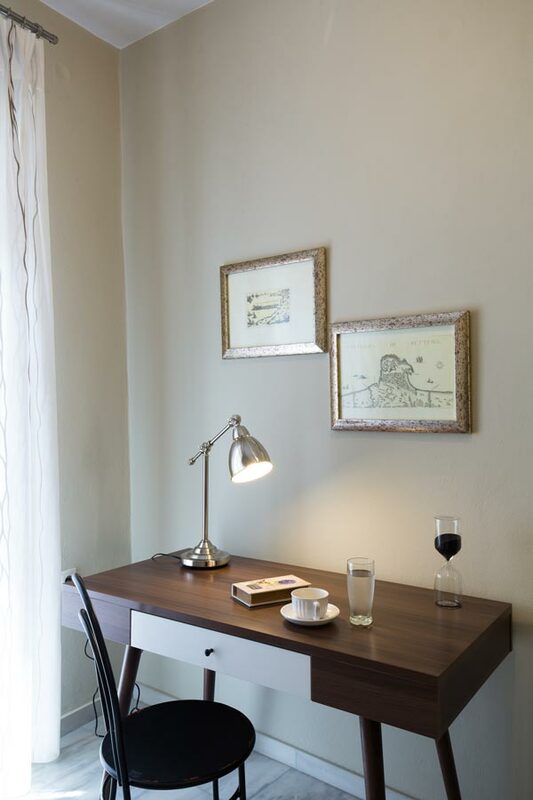 - It is well equipped and organised with all the facilities to ensure and comfortable and high quality stay. 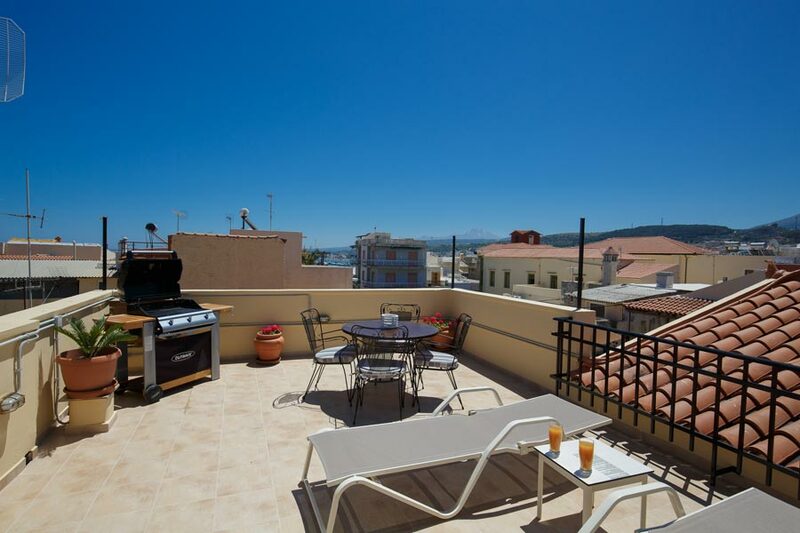 - The fully equipped rooftop terrace with barbecue and sun beds! - Holiday advisor call centre is available exclusively to our guests. It has a landline connection which you can call anytime for any problem, question or just seeking our advice. - The hospitality of the owner and his family who will be on hand with helpful advice and information whenever it is needed. The owners have a wide knowledge of the island and will be only to willing to suggest places of interest and routes to get there. The 105 sq. 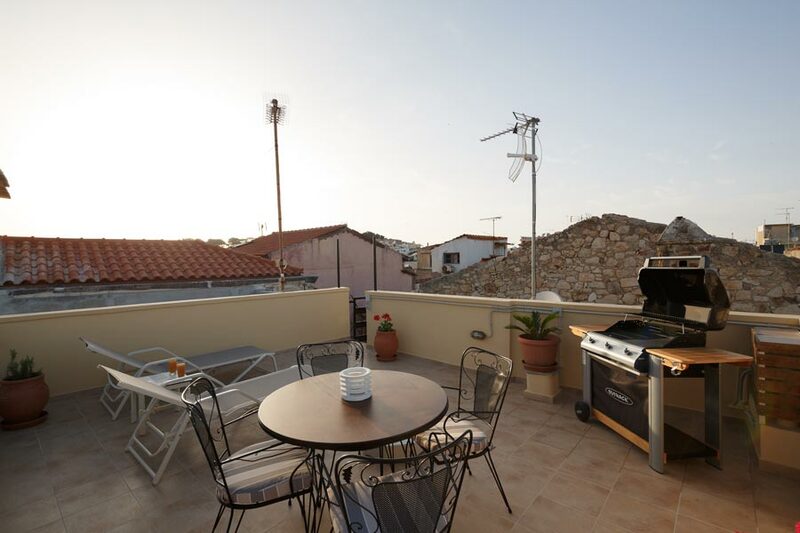 m house is located in the heart of the old town of Rethymno which is one of the most convenient location in the town, being within walking distances to everything. It can accommodate 4 people in beds and up to 6 people if it is necessary. Entering the main gate and enter the house on the ground floor, there is a staircase which leads to the first floor. 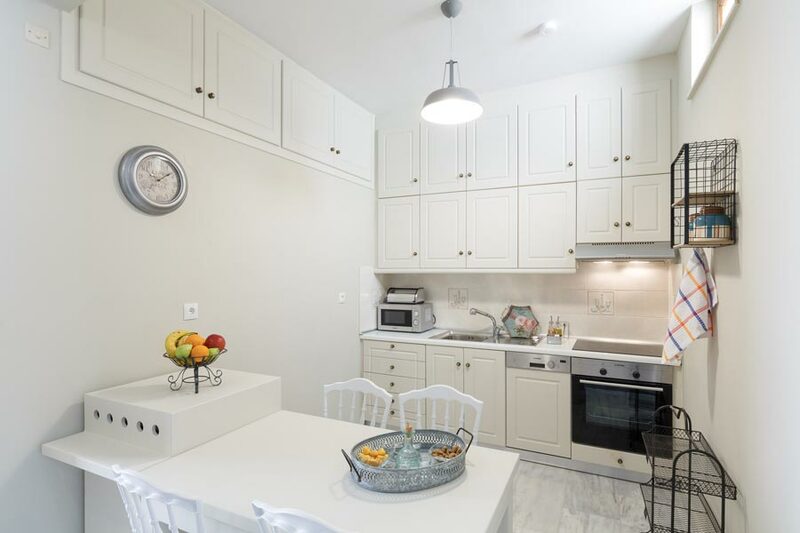 Reaching the first floor, there is an open plan area consisting of living room, dining area and a fully equipped kitchen with top quality fixtures and appliances. The living room area contains a large sofa, a 40” satellite HDTV and a desk. Additionally this area opens to a balcony with a coffee table and chairs. 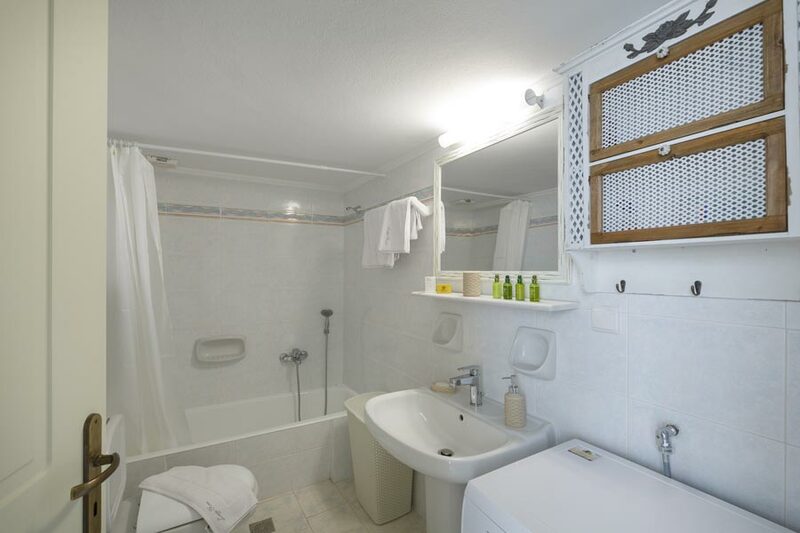 There is also a bathroom with bath and shower and a washing machine on the same floor. 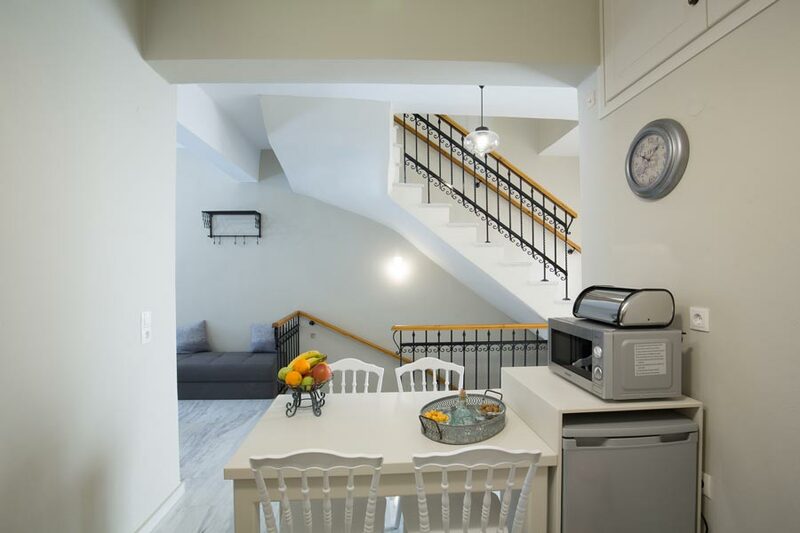 Reaching to the second floor through a staircase, there is a hall that has a small fridge which offers an additional comfort to the guests. 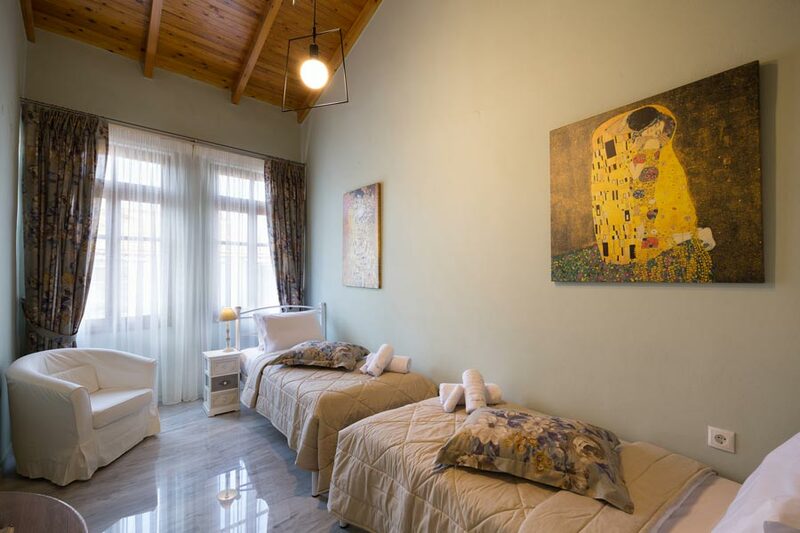 Two bedrooms are located on the second floor, one of the bedroom has a double bed and the other one has 2 single bed which also can be transformed to be a double one if needed. 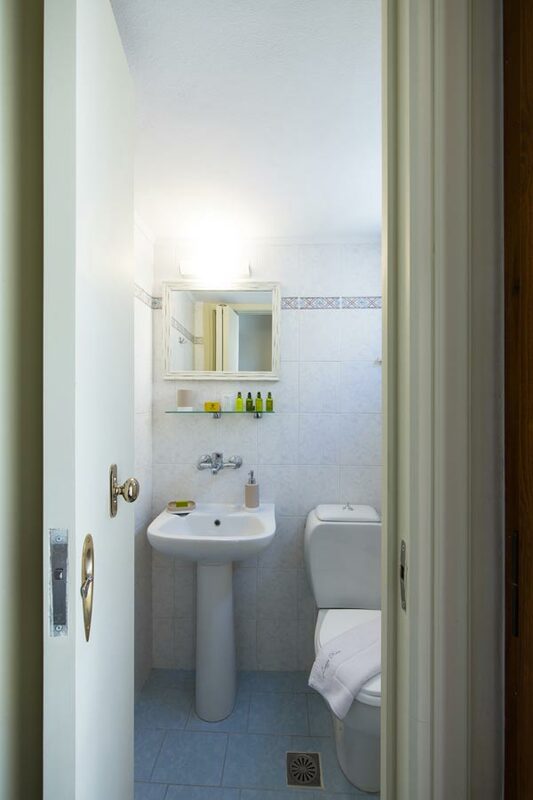 Both rooms have 32” HDTV, air-conditioning and a closet. Additionally a toilet is found on the same floor. 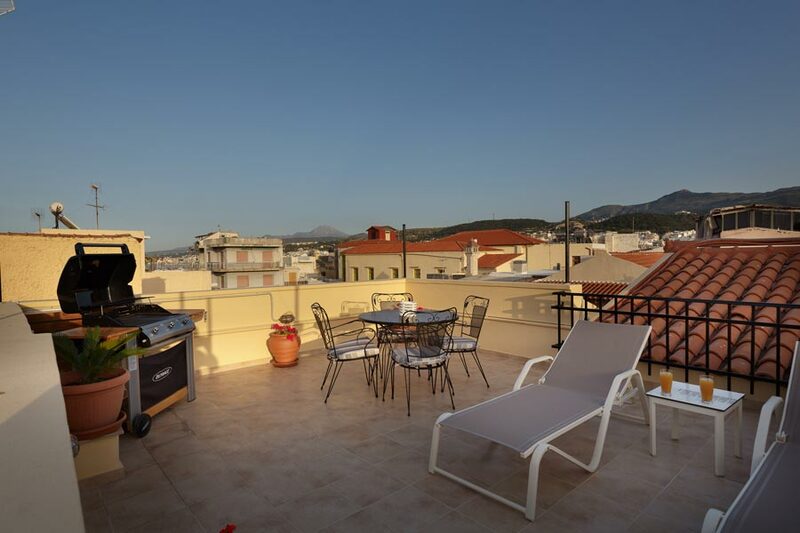 The rooftop terrace is fully furnished and equipped and you can seamlessly enjoy your meals and drinks, the panoramic views of the old town, the Neratze mosque and the mountain of Psiloritis. The international airport in Chania (Code: CHQ). The airport is the second largest with exclusive flights of Ryanair. The Kazantzakis Airport in Heraklion town (Code: HER). The biggest airport in Crete serving domestic and international flights. EasyJet has flights to this airport as well. During the summer months there are daily ferry connections between Souda port and the port of Piraeus in Athens. The Heraklion Port in Heraklion town (Code: HER). Minoan Lines, Fast Ferries, ANEK lines are travel to Piraias (Athens) and to the Greek islands. Heraklion is the largest city and the administrative capital of the island of Crete, Greece. It is one of the largest cities in Greece. Chania is the second largest city of Crete and the capital of the Chania regional unit. 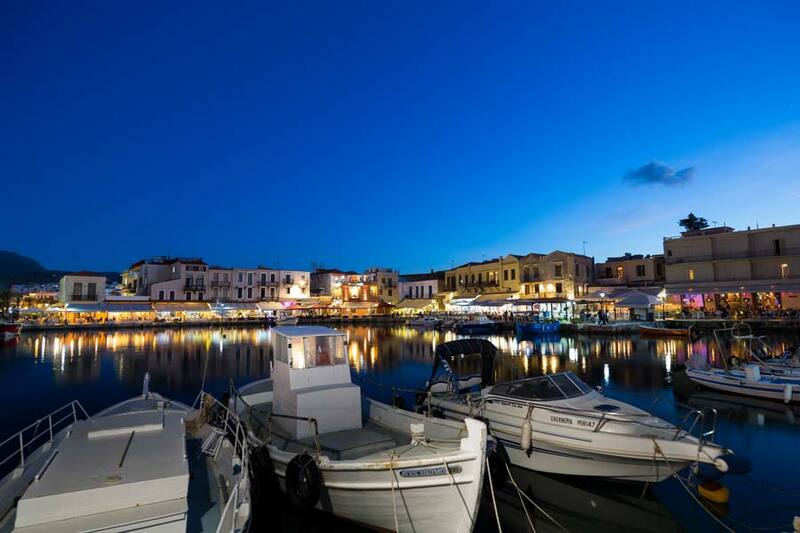 It lies along the north coast of the island, about 70 km west of Rethymno and 145 km west of Heraklion. The Fortezza is the citadel of the city of Rethymno in Crete, Greece. It was built by the Venetians in the 16th century, and was captured by the Ottomans in 1646. By the early 20th century, many houses were built within the citadel. The Venetian Harbour with its fishing boats, the famous lighthouse and many tavernes. The Rimondi Fountain in the heart of the old town has offered fresh water to passers-by for centuries. Water runs from three lions heads into three basins. The church of Our Lady of the Angels was built by the Dominican Friars at the end of the Venetian period and dedicated to Mary Magdalene. The Turks converted it into a mosque with the addition of a mihrab (prayer niche) and a minaret. From 1917 onwards it has been a Greek Orthodox church dedicated to Our Lady of the Angels. Locals of Rethymnon also call it the "Mikri Panagia" (Little Virgin), to distinguish it from the main Cathedral of the Panagia. The building itself is one of the most representative examples of a town house dating from the end of the Venetian occupation.The Historical - Folk Museum of Rethymnon houses collections of woven fabrics, weaving equipment, embroidery, lacework, pottery, baskets, metalwork, coins, costumes, historical items, etc. There is also a room with an exhibition on traditional crops and bread-making. The original Venetian building was the church of the Augustinian Priory, dedicated to the Virgin.In 1657 the town had fallen to the Turks and the church was converted into a mosque. In 1890, shortly before Crete became an autonomous state, work began there on the tallest minaret in Rethymnon. The minaret was very well built, with two balconies for the call to prayer. Today the Nerantze Mosque houses the Municipal Odeon, run by the Association for the Propagation of the Arts. 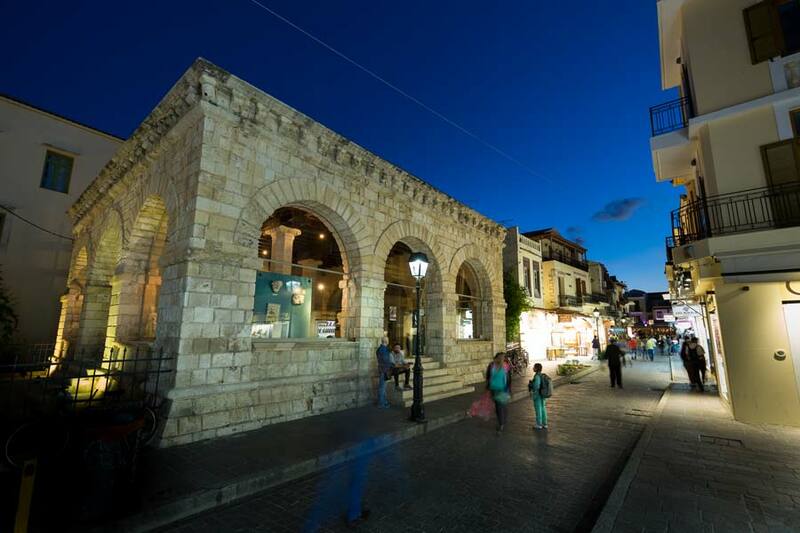 The Mikrasiaton Square is located in the Old Town of Rethymno and it is the biggest square in the heart of the historical center since 2007. 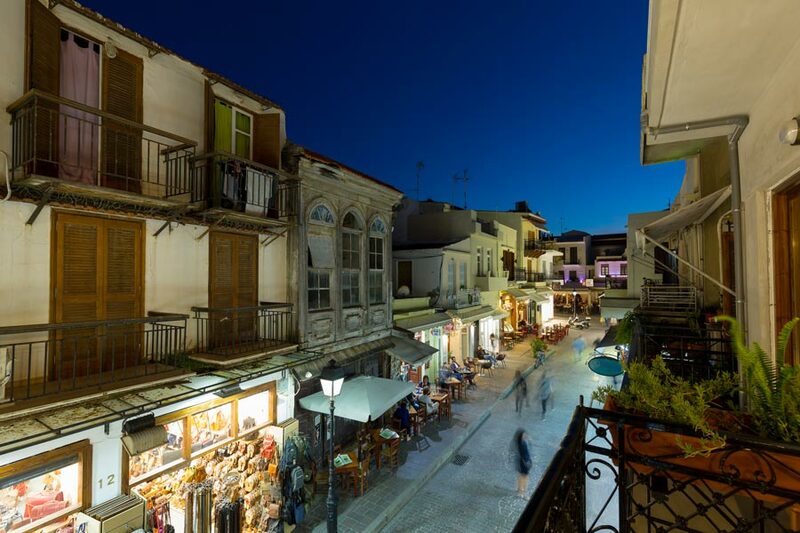 Its name comes from the settlement of the inhabitants of Minor Asia who arrived to Rethymno after the population exchange set by the Lausanne Convention and were accommodated in that square. Being the meeting point of the youngsters and the families of Rethymno, mostly during summer, due to its spaciousness and a playground for the young children’ amusement, the Mikrasiaton Square has also room for bikes, skates and trampoline. 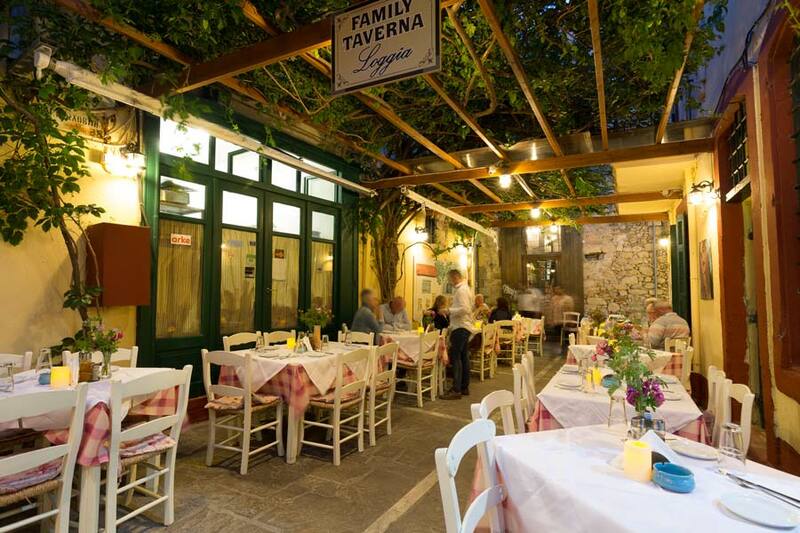 A whole street full of small traditional taverns “Rakadika”, that are next to each other and always crowded especially in Summer time! Much jewellery and large selection of English titles at its bookshop. If one street is to be the single place for gathering all the gifts you need to complete your shopping tasks this is it: gather herbs, cosmetics, books, a variety of jewellery, pottery and many other different items. The beach of Rethymno is 12 km long, it starts from the historical city center and extends to the Eastern part of the isle reaching Scaleta. The closest Private Parking to the house. The closest big super market to the apartment, you will also find many mini markets around the area. The closest bakery is only 110 meters away. There are also other traditional bakeries around the old city. In the old Town, you will also find more pharmacies around. The closest Gas station to the apartment. One of the most historical places in Crete, well worth to visit it! Ancient Eleutherna is located at a distance of around 25 km. to the SE of Rethymnon and occupies two long, narrow ridges, called Pyrgi and Nissi. Three streams flow around the foot of the hills and join to the north of them. The urban centre of ancient Eleutherna was always located at Pyrgi. Ruins of Hellenistic walls and buildings, Roman structures and an Early Christian basilica are preserved on the east slope of the hill. On the west slope of the hill, at the site called Orthi Petra (standing stone), lies the cemetery of the Late Geometric and Archaic periods, part of which was covered by the Roman buildings. Remains of a settlement that flourished in the Hellenistic period have been uncovered on the Nissi hill. The southern coast of Rethymnon hosts some of the most beautiful untouched exotic beaches of Crete, such as "Plakias", “Schinaria”, “Damnoni”, “Triopetra”, “Agios Pavlos” and “Preveli". The distance to the South coast is about 45 minutes from the apartment by car. 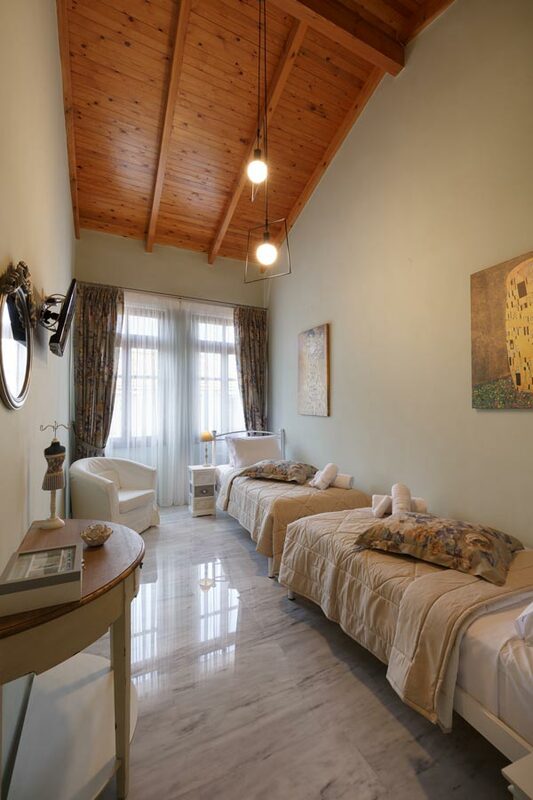 Loggia Home is located in the old town of Rethymno which is lying in the heart of the modern city and combines the oriental features of the Turkish period with Renaissance and Venetian style architecture. 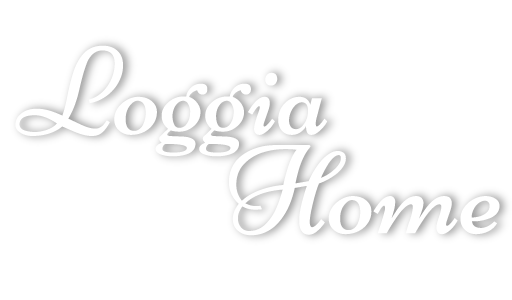 The closest beach to Loggia Home is the long sandy beach of Rethymno which is only a few minutes walk away. The 12 km long sandy main beach of Rethymno, which is the widest and longest beach in Crete, is organized with colorful umbrellas, sun-beds, water sports facilities, etc. 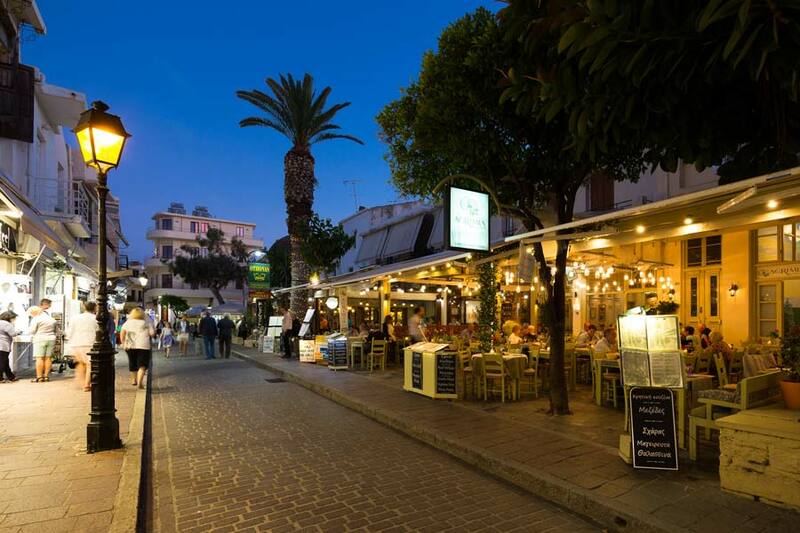 Furthermore, along the street on the upper side of the beach, which is ideal for afternoon walks by the sea, you will find lots of shops, tavernas and cafes.